The USTR has been required to produce the annual report since the early 1970s. It is submitted to the President, the Senate Finance Committee, and other committees in the House of Representatives. This year's report includes sections on over 60 countries, including Australia and New Zealand. The report acknowledges Australia "generally provides strong intellectual property rights protection". However, consistent with previous reports, it accuses Australia of failing to properly implement a patent notification system as required under its bilateral trade agreement with the US (AUSFTA). "Australia must provide that a pharmaceutical product patent owner be notified of a request for marketing approval by a third party for a product claimed by that patent and provide measures in its marketing approval process to prevent persons other than the patent owner from marketing a patented product during the patent term," it says, adding that pharmaceutical companies have raised concerns about "delays" in this notification process. Australia implemented a limited patent notification system following implementation of the AUSFTA that does not involve any substantive role for the TGA and gives patent holders virtually no capacity to challenge a product until after it is registered. 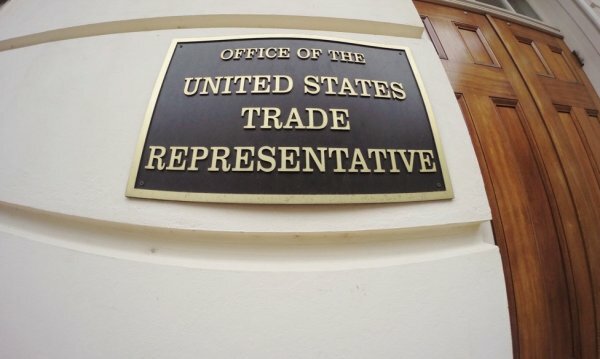 The USTR's report also questions the federal government's ongoing efforts to secure compensation from companies for PBS-related damages in response to unsuccessful patent cases. The federal government has secured favourable settlements from two companies, is awaiting judgement in a third, and has initiated action in a fourth case. According to the report, "The U.S. Government also has raised concerns about provisions in Australian law that impose a potential significant, unjustifiable, and discriminatory burden on the enjoyment of patent rights, specifically on the owners of pharmaceutical patents." It also restates long-held criticism of New Zealand's pharmaceutical purchasing agency PHARMAC. "Some U.S. stakeholders have expressed concern about aspects of PHARMAC’s regulatory process, including lack of transparency, timeliness, and predictability in the funding process and lengthy delays in reimbursing new products."